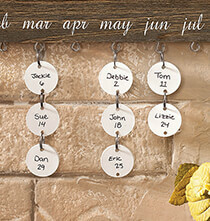 Celebrate birthdays, anniversaries and other special dates with this Personalized Dates To Remember Wall Hanging. 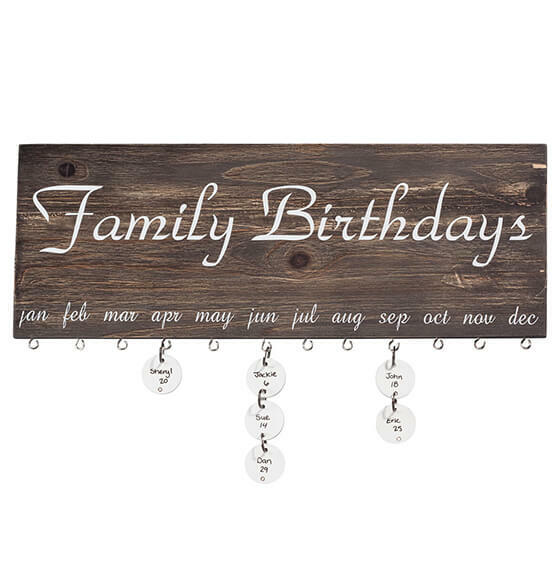 Simply add a name and number that corresponds with a birthday or anniversary, then hang the disc on the hook below the corresponding month. We'll personalize with any title, like "Celebrations", "Family Birthdays", "Days to Remember", "Special Days" and more—creating a custom keepsake. Specify title. Saw this at a friend's house & loved it! Was so happy to see in your catalog. I ordered for myself with extra sets of disks for myself & for my friend ... she needed more disks, so she was delighted. 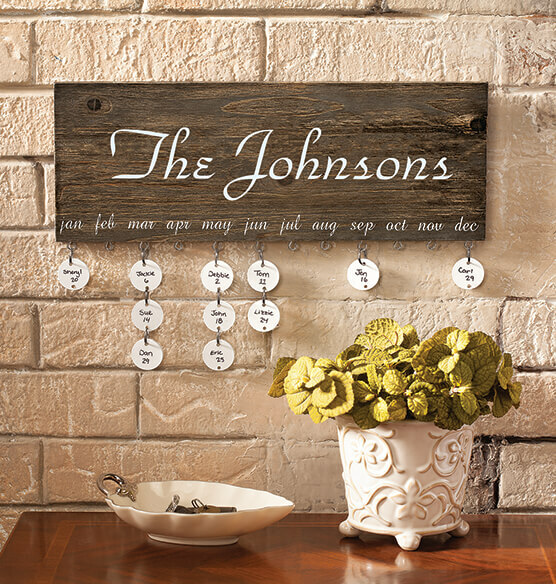 Need to have it available year 'round!